A sign on a fence in Wadley Farms, an Adams County neighborhood facing a proposal for a large oil and gas facility. The Colorado Oil and Gas Conservation Commission is debating new rules aimed at easing some of the tensions between local governments and oil and gas operations. The rules focus on improving communication and negotiation between local governments and energy companies. While the rules won't be finalized until December 2015, many in local government don't see them offering a fix. They point to current drilling proposals to show that, even if the rules move forward in their current form, local authorities will still lack the control they want. The unincorporated neighborhood of Wadley Farms is flanked by the city of Thornton. To get here you drive by dense suburbs, but a quick turn onto a dirt road opens up to large lots and grazing horses. It's deeply quiet and almost rural in feel, despite being in the middle of Colorado's sixth-largest city. It's here that Denver-based Synergy Resources is thinking about putting in 19 oil wells. By any measure that's a large facility, and both neighbors and local government leaders are concerned. 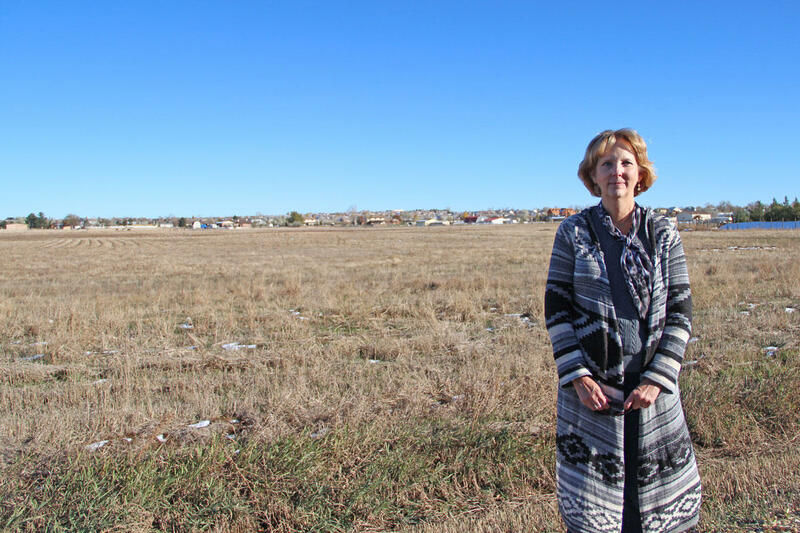 Adams County Commissioner Eva Henry stands in front of an open field in the middle of the neighborhood of Wadley Farms. Synergy has proposed drilling 19 wells on this location. "Like I tell everybody, we're to the left of Weld County, and we're to the right of Boulder," said Eva Henry, an Adams County Commissioner. "We're not the drill baby drill people, and we're not the ‘I don't want it in my backyard people.'" Some backyards, she says, may not be the best site for a large-scale oil and gas facility. As a school bus rumbles down the road, dropping off students on its afternoon route, Henry notes the increase in truck traffic -- the most dangerous aspect of the oil and gas industry -- that the neighborhood would experience. It can take anywhere from 500 to 1,500 one-way truck trips to drill and complete a well. Henry would like to tell Synergy to move the site. But Adams County, she said, does not have that authority. "We have no influence and we have no control is basically what it is." There are two main reasons for this. Typically, local governments use zoning and land use authority to regulate which activities belong where. You can't build a meatpacking plant or put in a marijuana facility in a neighborhood like Wadley Farms. But oil and gas is different, said COGCC director Matt Lepore, at a recent gas forum at Colorado State University. "To me that's the crux of the issue." Part of the problem comes from the fact that in Colorado and many other states, the rights to mineral property are owned by a different entity than the owner of the surface property. That split estate means the subsurface use might be industrial, while the use up top is could be a neighborhood. Since oil and gas property rights are tied to specific locations, if commissioner Henry or others tried to zone it out, they might be taking away a company's property right. "If precluding that location would preclude the mineral owner's ability to recover the minerals, that's sort of the line in the sand for us," said Lepore. Keeping a company or individual from accessing their mineral would mean a government was taking their property right -- something Lepore and local governments are both wary of doing. The other issue, said Jeff Robbins, a Durango-based attorney who advises local governments on oil and gas issues, is that authority over oil and gas is not limited to local governments. There's a whole state agency, the COGCC, that has its own rules and regulations. "So that ties the hands of the local government because they don't have unfettered discretion about approving an oil and gas location because of that dual set of authority," said Robbins. Court cases have also found that when there is a conflict between local government rules and the state's, the state approval often trumps the local government. The contentions over local authority to regulate oil and gas have been flaring up in recent years. Several towns passed bans on hydraulic fracturing. On the eve of the 2014 election, Colorado was facing a potential ballot initiative to ban or limit certain types of oil and gas drilling in the state. 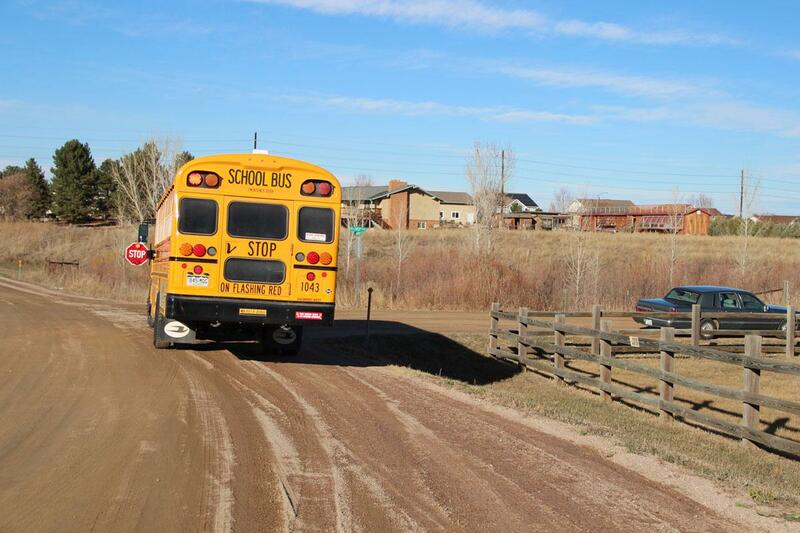 A school bus drives down the road at Wadley Farms. Neighbors are concerned about safety with the increased truck traffic that would come from a large-scale oil and gas facility. The movement came from both citizens concerned over drilling's impacts and health effects as well as local governments' concerned that they lacked authority to regulate oil and gas activity occurring ever closer to neighborhoods and other sensitive areas. Gov. Hickenlooper headed off this ballot initiative by creating a task force to come up with solutions. The group issued some recommendations that are resulting in new rules from the Colorado Oil and Gas Conservation Commission. In the past, both Durango's Robbins and the COGCC's Lepore note, energy companies have used the state approval they get for a site as leverage in their negotiations with local governments. The new rules the COGCC is considering aim to address that to some degree. The draft rules would require that companies consult with local governments three months before they apply for a state level permit for a large oil and gas facility. If the local authorities and companies can't agree on a site, the proposal goes to a public hearing with the COGCC. But importantly, these rules only apply to something considered a "large" oil and gas facility in an area with a certain density -- 22 homes within a 1,000 feet radius of the well. That actually leaves out most oil and gas facilities built in the state. The proposed rules also offer a nod to local governments near oil and gas sites. They would require that companies consult with a nearby governments with land use authority within 1,000 feet of the proposed large site. Matt Lepore says that despite feeling somewhat powerless, local governments in Colorado still have more authority than in most other oil and gas producing states. The state offers a liaison program for counties, cities and towns to help them communicate with energy companies and navigate the state regulations on oil and gas. Additionally, many municipalities have entered into memorandums of understanding with energy companies where, for example, the drillers agree to stricter restrictions in exchange for a more streamlined permitting process. Still, Adams County Commissioner Eva Henry feels somewhat powerless. She said the county has been working with Synergy, and they've been great. "They're more than willing to come out and meet with the residents, they're more than willing to come talk with us." Ultimately, though, Henry said she still doesn't have real authority. "When push comes to shove they [Synergy] can do whatever they want to do. Because we don't regulate them." Local governments are also faced with the conundrum that oil and gas is located in specific locations. Now that newer hydraulic fracturing techniques have made it possible to access oil and gas in locations never before accessible, those locations may be under suburban neighborhoods. The glut of production following the widespread use of hydraulic fracturing made oil cheaper than it's been in years, benefiting consumers across the nation. Those living on top of those resources, though, are still often shocked and dismayed when the drilling, and associated industrial activity, lands in their neighborhood. The governor's task force and the COGCC draft rules currently under consideration are an attempt to give local governments a stronger role in the oil and gas siting process. If current local government responses to the rules are any indication, that attempt may still not be enough. The goal of Gov. John Hickenlooper's Oil and Gas Task Force was to address the duel concerns that drilling operations are too close to homes and that local governments don't have enough say in the process. The state's regulatory body, the Colorado Oil and Gas Conservation Commission, is now considering new rules, which were born from the task force's work, looking at giving local governments more input when it comes to energy development. As the COGCC settles in for two November public hearings on the draft proposals, critics charge that the original task force failed in their mission.